We can not only help you with OpenCart Product Upload, but also to formulate your business strategies by following your competitors promotional activities. This way you can have an edge over your competitors and stay number 1 on the ecommerce sector. We have the ability to upload products manually or through CSV files. We’ll put our tremendous expertise into action while designing your OpenCart store, and make sure we leave no stones unturned. We can acquire crucial product data via various sources such as printed catalogs, digital catalogs, scanned images, PDF files, manufacturer’s website etc. 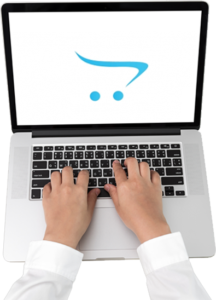 We meticulously enter product information like SKU, UPC, image, title, description, weight, price, quantity etc into your OpenCart store. We help you create important product attributes such as colour, size, weight, dimension, manufacturer etc. Your customers will be able to decide better if they are aware of all the specifications. We can also help you with OpenCart Bulk Product Upload with the use of latest bulk listing softwares like Turbo Lister, InkFrog, CSV files etc. We upload a large number of products in a swift and timely fashion. We will integrate upsell and cross-sell technique to list related items and accessories. We will also include a ‘deal of the day’ option to promote your e-store page. Our talented Content Writers will create SEO friendly and unique product descriptions to give your customers a holistic view of the product. They can create user-friendly and concise descriptions even for the most technical products available. We will manage your product page URL, product meta title and descriptions. Our Image Editors can insert suitable images to make your products more marketable and salable. They can also create a relevant background image and convert low resolution images into strikingly beautiful images which can attract the buyers eyes instantly! To arrange your products systematically, we can categorize and subcategorize your products. This would help customers to locate your products more efficiently. We can keep a regular check on the products availability through our efficient OpenCart Inventory Management. Moreover, we will make sure that out-of-stock-product are listed as out-of-stock so that your customers do not receive any wrong information. We’ll assist you with order processing and order tracking. We will ensure that the delivery process is carried out swiftly and smoothly.